IS: 14-3/8 x 11-9/16 ins. PS: 16-3/8 x 13-9/16 ins. Estimated current value is $350. 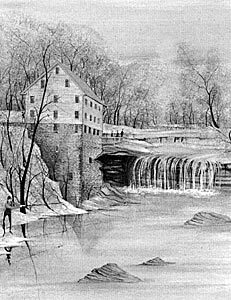 Lanterman's Mill is located Mill Creek Park, Youngstown, Ohio.